Forget Google Maps. Here it is. 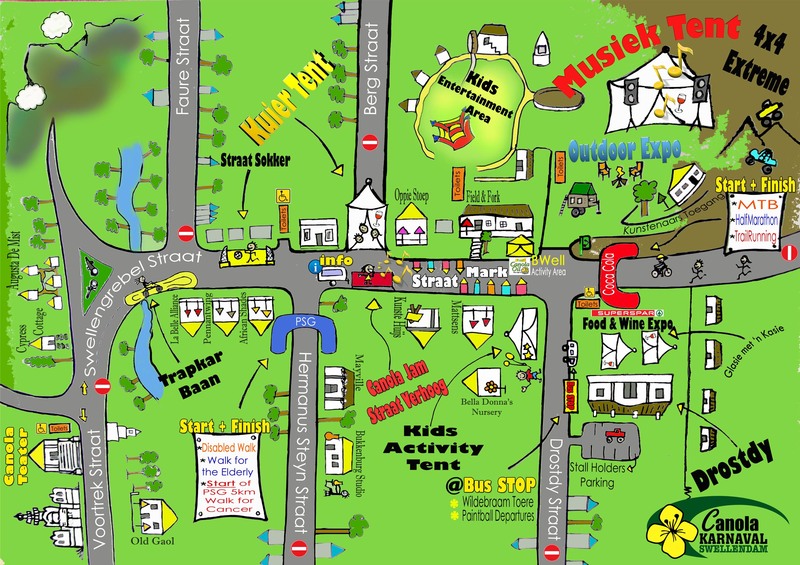 Canola Carnival Map. Spot Augusta de Mist. As you can see – it is a short stroll to the festivities. Swellendam is suitably yellow for the occasion!